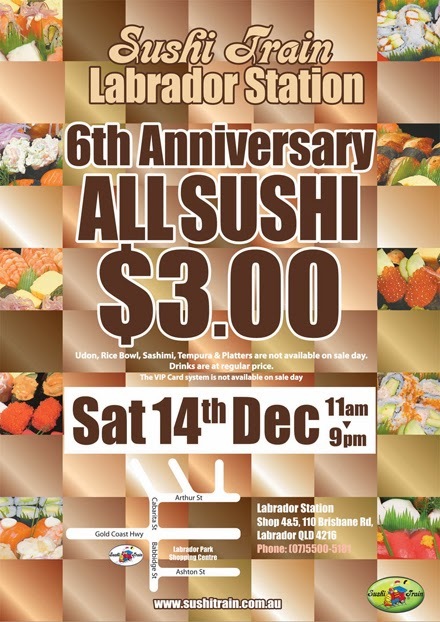 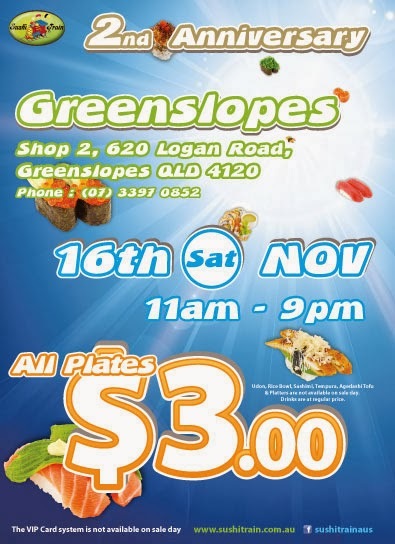 Sushi Train Labrador Station 6th Anniversary $3 Sale!! 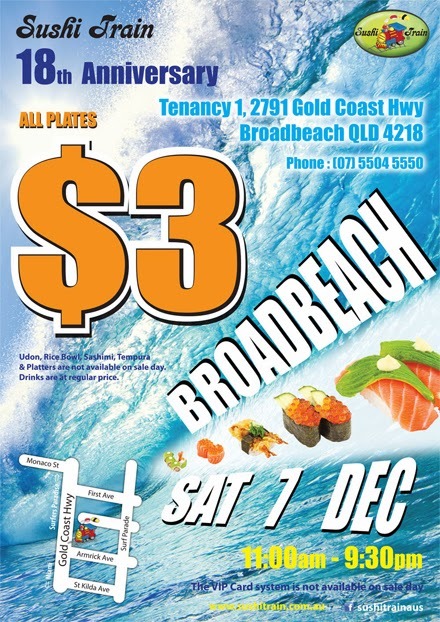 Udon, Rice Bowl, Sashimi, and Drinks are excluded from specials. 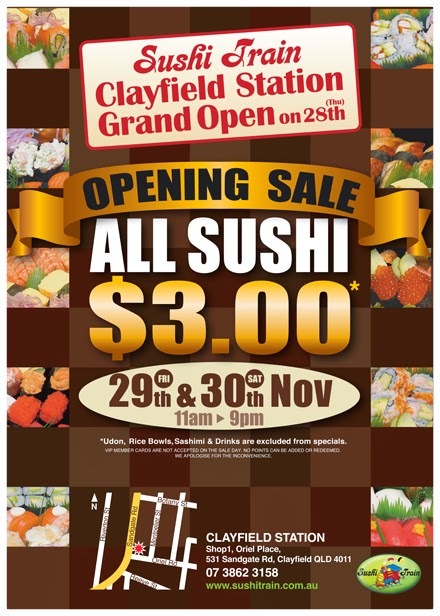 excludes: Udon, Rice Bowl, Sashimi, Tempura, Agedashi Tofu, Platters and Drinks.